Resistance is just what it sounds like, its the characteristic that makes a component fight current flow. The bigger the resistance value (in ohms Ω) the more it fights. Most resistors you'll see range between 1 ohm and 1 megaohm (1.0 MΩ) they often have 5% tolerance but you can buy 1% or even 0.1% accuracy resistors. In general, resistence testing is best for measuring resistors, but you may find yourself measuring the resistance of other things, such as sensors and speakers. Resistors are color coded, at first it seems like a bad way to print the values but with a little time it becomes faster because you dont have to read any numbers and the stripes are visible no matter how it is rotated. You can use this calculator to play around with resistor color codes. This image shows a 1.0 kΩ 5% resistor (brown black red gold). What is resistance testing good for? 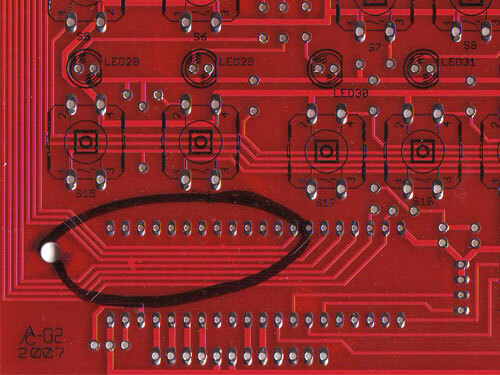 You can only test a resistor before it has been soldered/inserted into a circuit. If you measure it in the circuit you will also be measuring everything connected to it. In some instances this is OK but I would say that in the vast majority it is not. If you try, you will get incorrect readings and that's worse than no reading at all. You can make sure your meter is working well by having a 'reference resistor' to test against. A 1% 1KΩ or 10KΩ resistor is perfect! Low batteries can make your multimeter wonky. Resistance is non-directional, you can switch probes and the reading will be the same. 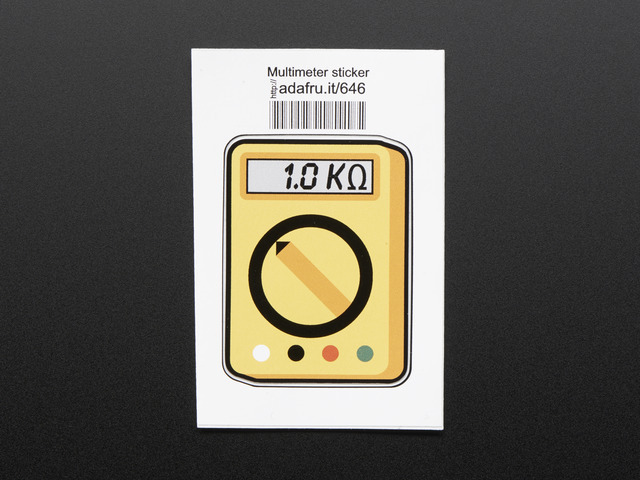 If you have a ranging meter (as most inexpensive ones are), you'll need to keep track of what range you are in. Otherwise, you will get strange readings, like OL or similar, or you may think you're in KΩ when really you're in MΩ. This is a big problem for beginners so be careful! Look for an ohm (Ω) symbol, if its a ranging meter there will be a bunch of subdivided modes. If its auto-ranging there will be only one. 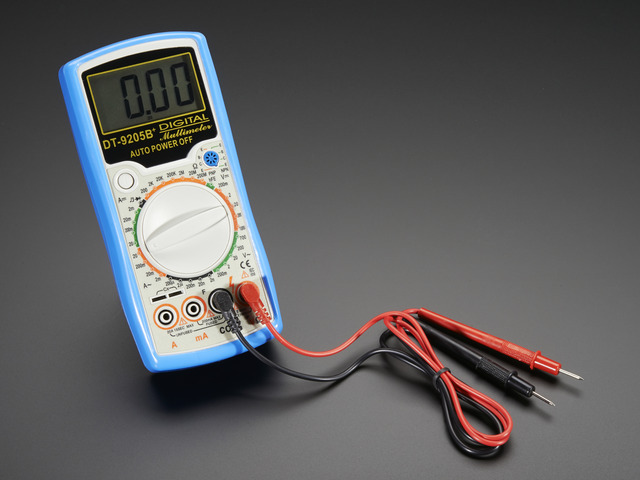 This meter has a multi-mode (you need to press a seperate MODE button to change between capacitor sense, diode test, resistor test and continuity!) It does not, however, have any numbered submodes, as it is auto-ranging. As long as it works, it doesn't matter which type you have. But auto-ranging meters are a little slower. Which gets the first significant digit instantly, the second digit after 1 second and the final digit after 2. 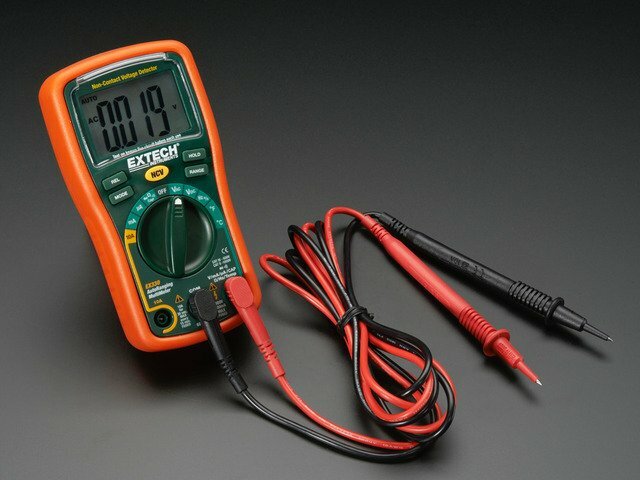 Expensive autoranging meters, like Fluke 73s, will be super fast so it's not a big deal, but if you have a $200 meter you're probably not reading this tutorial. Ranges will almost always be something like 200Ω, 2KΩ, 20KΩ, 200KΩ, 2MΩ, etc. Why the 2s instead of 100, 1K, 10K etc.? Well, here's my guess. There are way more values between 1KΩ and 2KΩ than between 2KΩ and 3KΩ, etc. By picking 2KΩ as your max range, you get the best precision for the most probable values. With an auto-ranging meter, its easy, just put the two probes across the resistor and read the number. For example, this 1KΩ 5% resistor is actually 0.988 Kohm. 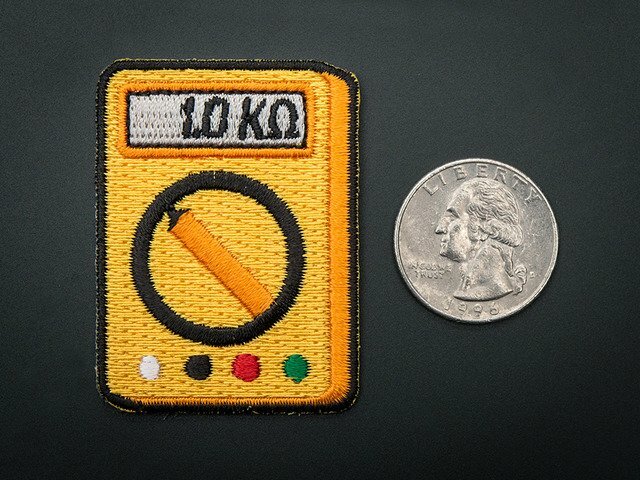 And this 10KΩ is really 9.80KΩ. Note that the numbers look similar but the decimal point has moved. This ranged meter requires that you dial in the range. We'll guess that this resistor is under 2KΩ then measure it. We get 0.992 which means its 0.992 KΩ (or, a 1KΩ resistor). Now testing a different resistor, we will again guess its under 2KΩ. However, this time we get a strange response, a 1. which means out of range. Some meters will display an OL which you may remember from the continuity secion as meaning "open loop" here it means "the measurement is higher than the range". Its a little clumsier than auto-ranging but if you are pretty sure you know about how big the resistance you are expecting is, its very speedy. You can test the max-value of a potentiometer by measuring across the two 'ends' as shown here with a rotational 10KΩ pot. To find the 'range' look at the dial. 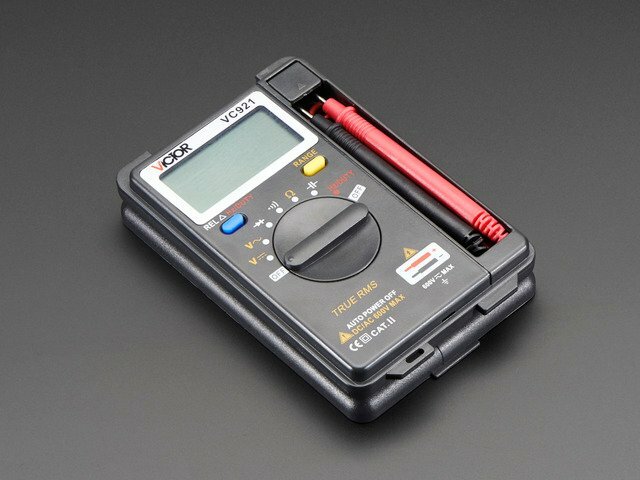 You can also use a multimeter to tell whether the potentiometer is a linear or logarithmic (audio) pot. When the pot is centered, if the resistance between the wiper and one end is half of the total value, its linear. (I used clips instead of probles to make it easier to take these photos). This is a 10KΩ linear potentiometer. The minimum resistance of the pot, 0Ω (a short) as expected. This video shows the resistance of a 10KΩ linear pot as it is adjusted. At the end it is set to approximately the midd, which is measured at 4.7KΩ, pretty close to the 'ideal' of 5KΩ. If, when centered, the resistance is more like 85% or 15% of the total resistance, then its a log pot. This is a 50KΩ analog potentiometer. When centered, the resistance is about 8KΩ. Potentiometers are resistors that change value when they are moved. A Light Dependent Resistor (LDR) is a resistor that changes value with the amount of light it receives. This one has a range of about 20K max.